Our hillside estate vineyards are also home to several small blocks dedicated to the other key traditional Bordeaux varietals ~ Merlot, Cabernet Franc, Malbec and Petit Verdot. Each of these Sonoma red wines is made into their own distinctive bottlings, as well as blended into our Cabernets to enhance aromatics, body, texture and flavor profiles. 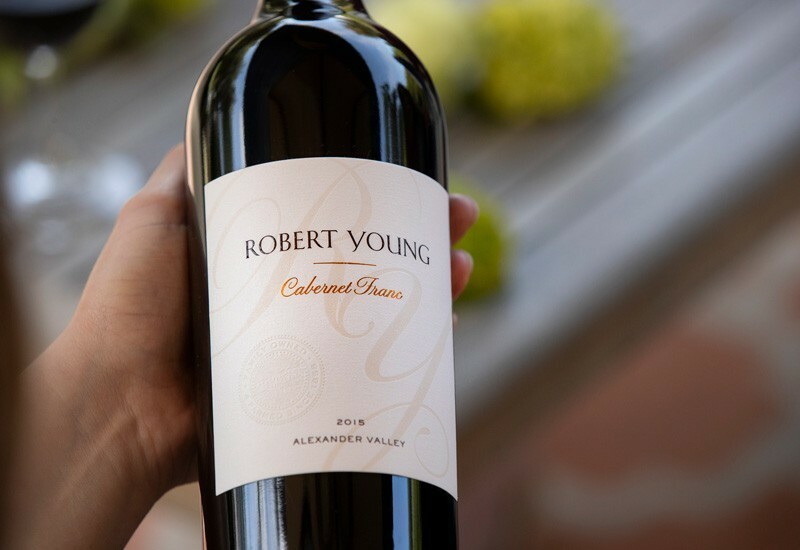 Robert Young makes only 100% estate wines, including all of the five classic Bordeaux varietals: Cabernet Sauvignon, Merlot, Cabernet Franc, Malbec, and Petit Verdot. These varietals thrive in the Alexander Valley, much like they do in the Bordeaux region of France. 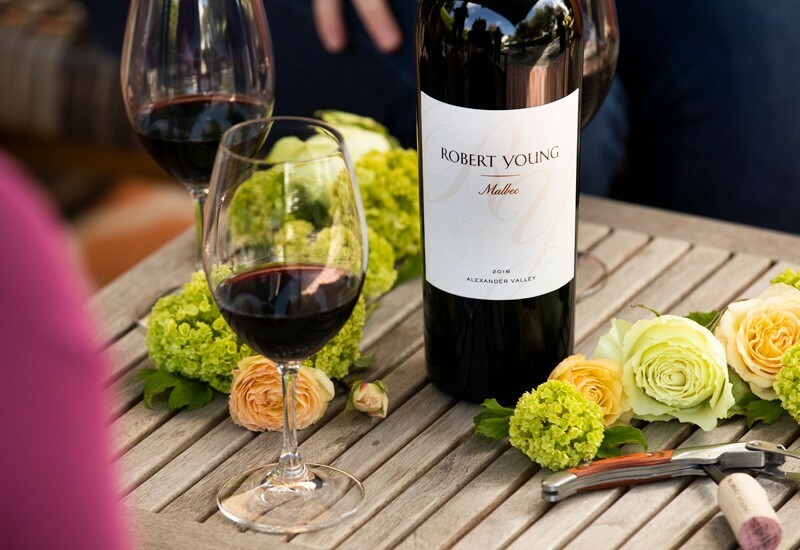 All Robert Young Estate Winery vineyards are grown in small blocks throughout the hillsides, taking advantage of ideal growing conditions that foster low yields, berry maturation with balanced fruit intensity. We blend our Merlot, Cabernet Franc, Malbec, or Petit Verdot grapes into our Cabernet Sauvignons to make our pinnacle red blend Scion, but also like to make each one of these classic Sonoma red wine varietals into their own distinctive, single site wine. We grow Cabernet Franc on several blocks on our estate, but choose a 2.12 acre single hillside block (Meek’s Block) as the source for our Estate Cabernet Franc. With a southern exposure and a well-draining hillside location, the varietal tends to have the right mixture of sunshine and vigor, keeping the grapes bunching and berry sizes small. Often slightly lighter in color and tannins than Cabernet Sauvignon, Cabernet Franc grown on our estate shows a power and elegance that stands out on its own. We see aromas of pepper, perfume and tabacco, with flavors ranging from cassis and violets to raspberry and black tea leaves. Malbec is sourced from a 2.12 acre single block on the western-most portion of our ranch. The vines were planted in 1989 and we’ve made a single-varietal wine since the 2012 vintage. Malbec is primarily found in Cahors in Southwest France and now Argentina, but does very well in Sonoma County, where plentiful sunshine and heat imparts the ripe, juicy flavors and inky color the varietal is well-known for worldwide. For aging, we use 100% French Oak (30% - 40% new) exclusively and produce approximately 200-300 cases annually.